November 28, 2016 3B Andy Marte assigned to Aguilas Cibaenas. September 29, 2014 3B Andy Marte elected free agency. August 9, 2014 Arizona Diamondbacks sent 3B Andy Marte outright to Reno Aces. 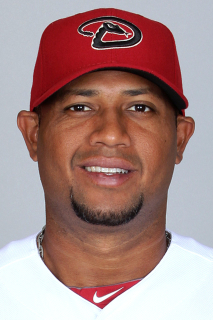 August 7, 2014 Arizona Diamondbacks designated 3B Andy Marte for assignment. July 31, 2014 Arizona Diamondbacks selected the contract of 3B Andy Marte from Reno Aces. April 2, 2014 3B Andy Marte assigned to Reno Aces. December 13, 2013 Arizona Diamondbacks signed free agent 3B Andy Marte to a minor league contract and invited him to spring training. November 4, 2013 3B Andy Marte elected free agency. October 18, 2013 3B Andy Marte assigned to Aguilas Cibaenas. September 21, 2013 Salt Lake Bees activated 3B Andy Marte from the 7-day disabled list. September 13, 2013 Salt Lake Bees placed 3B Andy Marte on the 7-day disabled list. Dislocated left shoulder. August 6, 2013 3B Andy Marte assigned to Salt Lake Bees. August 5, 2013 Los Angeles Angels signed free agent 3B Andy Marte to a minor league contract. November 2, 2011 DH Andy Marte elected free agency. October 14, 2011 3B Andy Marte assigned to Leones del Escogido. April 6, 2011 Andy Marte assigned to Indianapolis Indians from Pittsburgh Pirates. December 1, 2010 Pittsburgh Pirates signed free agent 3B Andy Marte to a minor league contract and invited him to spring training. November 6, 2010 3B Andy Marte elected free agency. November 4, 2010 Cleveland Indians sent 3B Andy Marte outright to Columbus Clippers. November 4, 2010 3B Andy Marte assigned to Tigres del Licey. June 7, 2010 Andy Marte roster status changed by Cleveland Indians. June 5, 2010 sent 3B Andy Marte on a rehab assignment to Lake County Captains. May 15, 2010 Andy Marte roster status changed by Cleveland Indians. May 12, 2010 Cleveland Indians placed 1B Andy Marte on the 15-day disabled list. October 15, 2009 3B Andy Marte assigned to Toros del Este. July 28, 2009 Cleveland Indians selected the contract of 1B Andy Marte from Columbus Clippers.